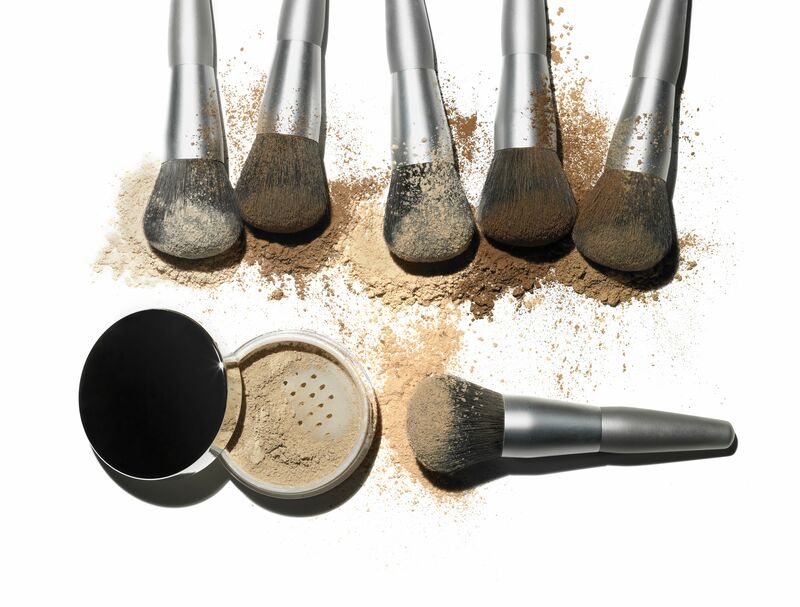 Unless you have extras, pick a time to clean your makeup brushes when you're not in a rush. Rinse well with warm water and then clean the handle with the soap and a soft cloth. Mascara, eyeliner, and bacteria can all coat the surface of your eyelash curler. None of that sounds very conducive to good eye health. A curler should be cleaned at least weekly; daily if you have sensitive eyes or any type of eye infection. To clean the curler, wet a cotton pad or ball with rubbing alcohol or hydrogen peroxide and wipe down all the surfaces that come in contact with your eyes. Simply dip an old toothbrush into some rubbing alcohol or hydrogen peroxide and carefully get into the edges of the sharpener. Then, dip the tips in rubbing alcohol or hydrogen peroxide or rub with a cotton swab dipped in rubbing alcohol. Dispose of single-use items like wooden sticks and cotton pads after every use. Metal implements should be washed with warm water and antibacterial soap using an old toothbrush to get into the hard to reach areas and then the edges cleaned with isopropyl (rubbing) alcohol or hydrogen peroxide after every use. Hair spray and other hair products can build-up on curling and flat irons and all of that heat simply bakes it onto the surface. You can't just dunk these appliances in water, and scraping off the gunk can damage surfaces. The irons can also be cleaned by mixing a tablespoon of baking soda with one teaspoon of water. Apply the paste to the sticky areas with a soft cloth and "scrub" lightly. Wipe away the residue with a clean cloth dipped in plain water and then dry with a soft cloth. Don't forget to clean plastic and metal barrettes, headbands and clips. They can be cleaned the same way and you may need to use a bit of rubbing alcohol on a cotton pad to remove hairspray residue. At least once per week, clean everything thoroughly by soaking in diluted bleach and water solution (one tablespoon of household bleach to two cups of warm water) for five minutes. 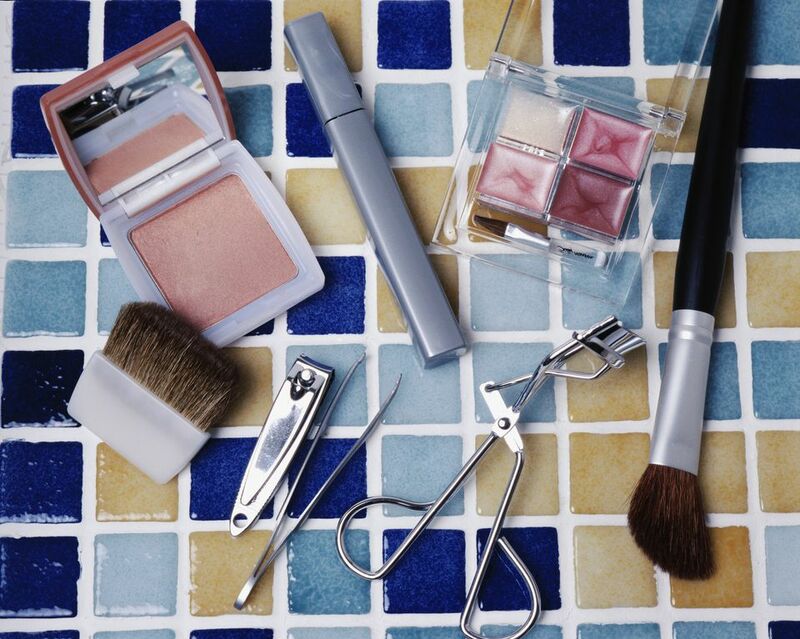 You may not think of a mirror as a beauty tool, but we'd be pretty scary if we didn't have one. Whether your mirror is a large one over the bathroom sink, a hand-held mirror or one that has extra lighting, you can easily keep it crystal clear. Use the homemade cleaner or a commercial brand sparingly and then wipe down with a microfiber or other lint-free cloth. For tough hair spray stains on mirrors and windows, wipe the area with a cloth dipped in isopropyl alcohol and then dry with the lint-free cloth.